Fr. 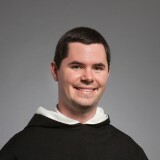 Patrick Mary Briscoe has been appointed the Associate Executive Director of the Dominican Friars Foundation and the Promoter of Media for the Dominican Province of St. Joseph. Raised in Fort Wayne, Indiana, Fr. Patrick was ordained a priest in 2016, and served at St. Pius V parish in Providence, Rhode Island. He also served on special assignment for the Knights of Columbus in Krakow, Poland, as an organizer at the World Youth Day Mercy Centre.